The MERRg consists of Michael Colbung-Vox (founder; backing vox, acoustic guitar, bass, harmonica, percussion), Robert Champion (founder; lead & rhythm guitar, acoustic guitar, backing vox), Eddie Peters (Bass, vox, backing vox, acoustic guitar), Russel Pinkie (Bass, lead & rhythm, acoustic, rhythm guitar) and Dwayne Lawrie (Drums). 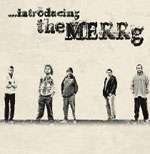 I suspect that the band's name – MERRg – comes from the band member's first names with 'g' meaning 'group'. 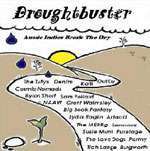 The MERRg contributed track seven to this album.